Emergency Medical Services (EMS) is a comprehensive network of personnel, equipment, and resources established to deliver aid and emergency medical care to the community. EMS is an umbrella term for a continuum of prehospital care activities involving personnel, equipment, procedures, systems and community programs. 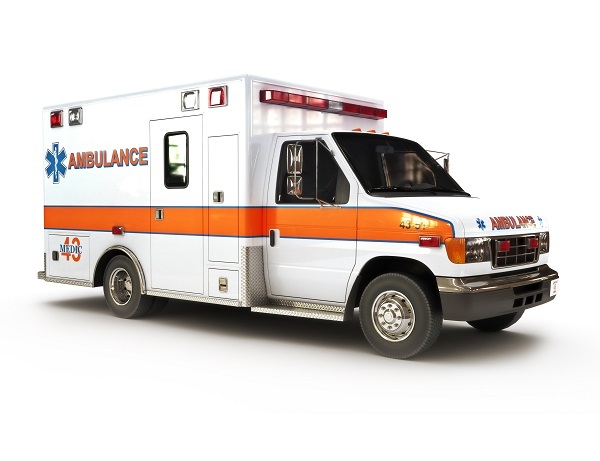 In everyday terms, emergency medical services centers on rapid response, initial treatment, and safe transport of a patient to an acute care hospital facility. While precise numbers are not available, EMS on a nationwide basis treats and transports approximately 25 to 30 million patients per year. In Georgia, EMS receives approximately 1 million calls per year for assistance. As an important point of entry into the healthcare system, EMS is in a unique position to favorably impact patient outcomes. EMS in Georgia is principally about the care of sick and injured patients by qualified, licensed providers and their rapid and safe transport to an appropriate health care facility. Every ambulance in the State of Georgia must contain the proper equipment and medications and be licensed. Appropriately qualified and licensed medical personnel must staff every registered EMS vehicle. EMS providers must retain a medical director – a physician who is legally responsible for all clinical and patient-care aspects of treatment. Appropriate medical care protocols must be in-place and utilized; and, the initial care provided must be properly transitioned to a definitive health care facility. The quality of Georgia’s prehospital care is assured through the licensing of both personnel and equipment, and the assurance of appropriate medical control during patient care processes. Licensed medics use approved medical protocols to care for sick and injured patients while rapidly and safely transporting them to hospitals, and other health care facilities where they can be treated and recover. In Georgia, EMS represents a broad and complex collection of private, community and governmental organizations, services and environments providing prehospital health care related services. Accordingly, EMS regulation covers the full spectrum of emergency care from recognition of the emergency, prehospital medical treatment, and patient transportation through patient receipt at a hospital or definitive care facility. Collectively, these services and programs comprise the EMS gateway to health care and certain types of medical emergency preparedness for state citizens and visitors. While the concept of EMS centers on rapid response, initial treatment, and safe transport of a patient to a health care facility, it is now generally recognized that EMS also plays a role in improving community health and takes planning actions that result in better and more appropriate uses of acute health care resources. Additionally, EMS also provides an essential strategic element for homeland security, bioterrorism preparedness and preparedness against other threats, which require the mobilization of significant emergency medical resources. EMS Region 7, headquartered in Columbus, serves over 285,000 people in the more than 4,000 square mile area, with 17 licensed ambulance services and more than 60 emergency vehicles. It has seven general hospitals and has more than 300 licensed medics living inside its borders. Region 7 is served by The Medical Center, a Level 2 Trauma Center, in Columbus. The challenge is to provide the best possible care with existing resources. Harris County, just north of Columbus, has seen significant, sustained growth during this century. With the expansion of Fort Benning and the relocation of major industrial giants like KIA and NCR in the area, many of the primarily rural areas are also facing significant growth. To encourage, foster, and promote the continued development of an optimal system of emergency medical and trauma care, which provides the best possible patient outcome. By promoting excellence, providing uniform statewide regulation, and promoting healthy communities, we seek to be valued by those we serve. An important product of regulation is value-added information for emergency preparedness, public health, EMS research, and strategic governance. By managing knowledge, EMS can improve public health in Georgia. Excellence: We promote excellence, achieve and maintain quality results. Integrity: We are committed to honesty, fairness, and trustworthiness in the best interests of the citizens of Georgia and those that represent state government. Teamwork: We encourage active collaboration to solve problems, avoid conflict, make decisions, and achieve common goals. To learn more about Emergency Medical Services, contact Billy Watson at the Region 7 office of the Georgia Office of EMS and Trauma at 706-594-3555 or 706-321-6151.